Another amazing day in Africa! 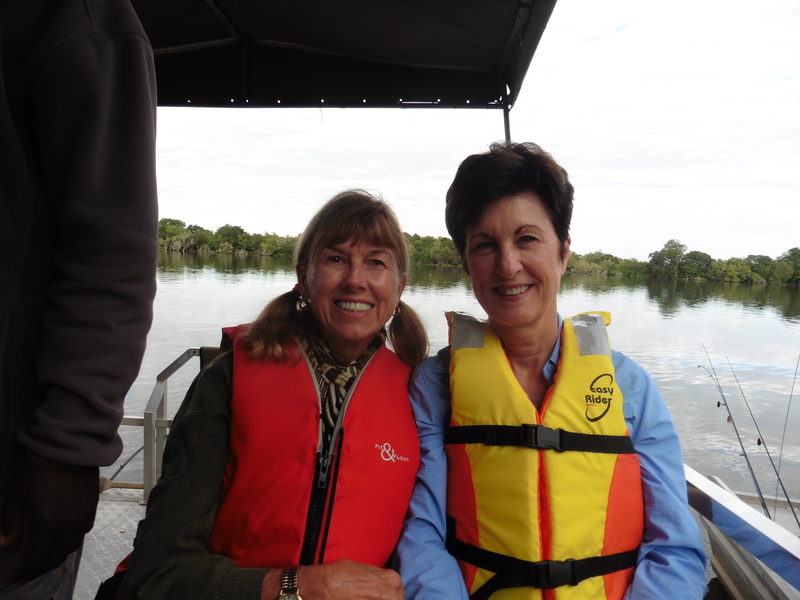 We went on a boat safari on the Lufupa and Kafue rivers which converge in front of our camp. 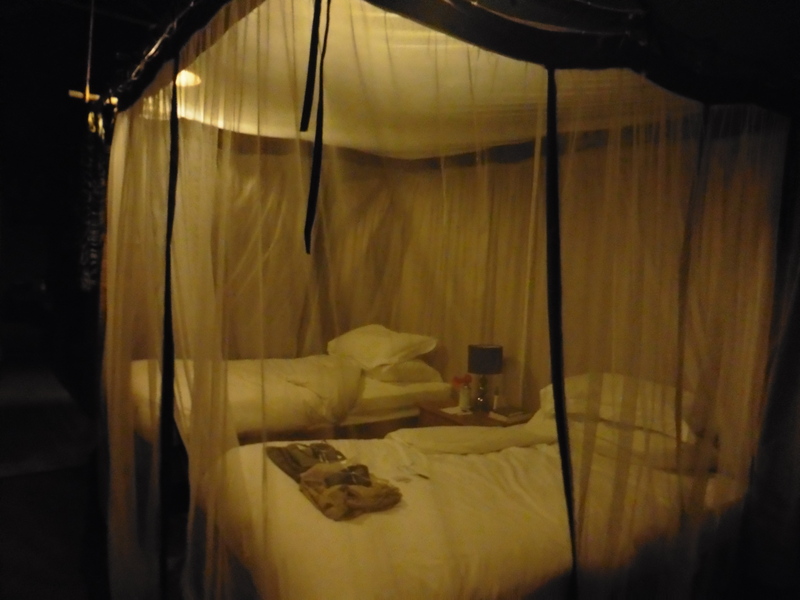 In the morning we went left down the Lufupa river and in the afternoon we went right down the Kafue river. 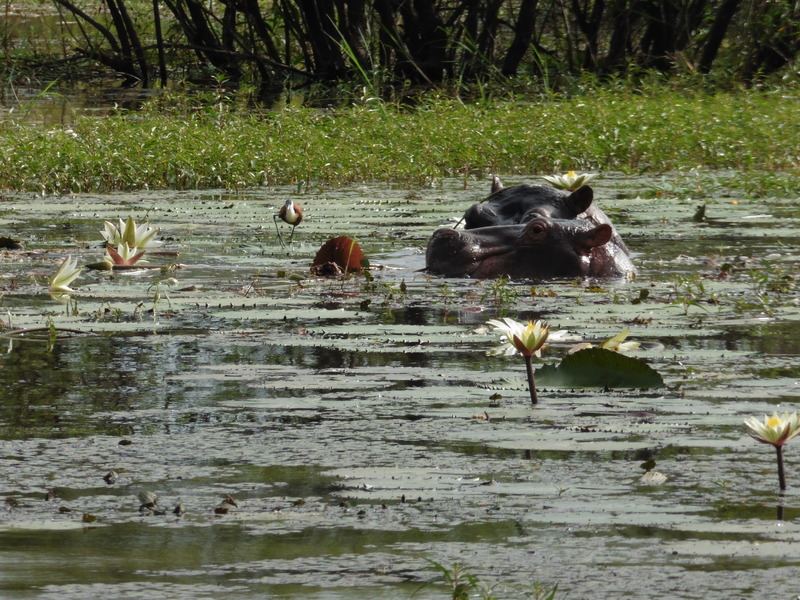 Hippos were feeding in the river and must have had babies nearby because they did not want us to get too close. They followed our boat and made leaping moves in the water a few times. Boyd, our guide, made sure we stayed comfortably in front of the hippos. 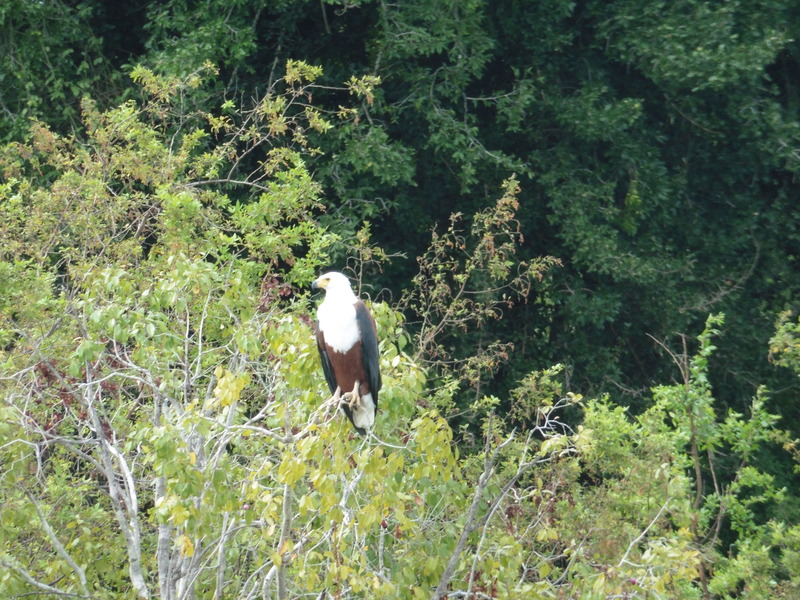 We also saw crocodiles, impalas, pukus and beautiful birds of all colors, including African fish eagles, Zambia’s National bird, and saddle beak cranes. 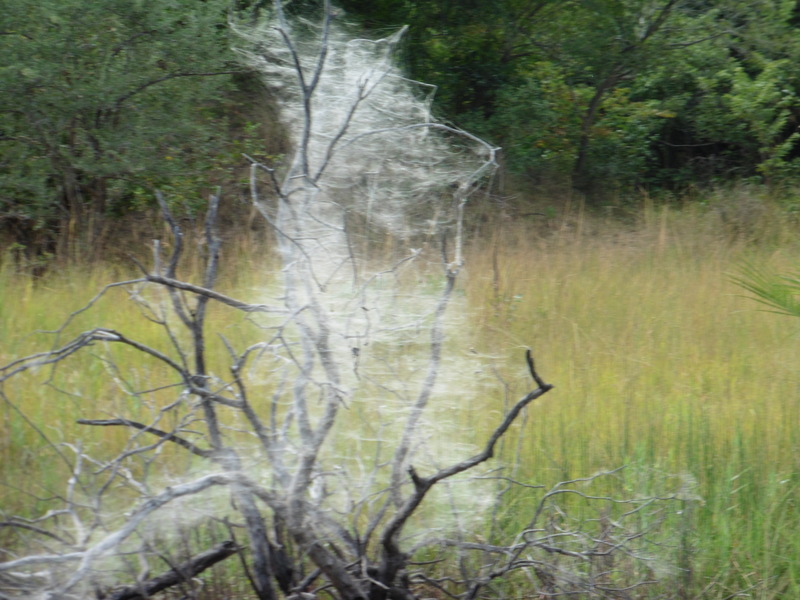 We saw an amazing web made by the tent spiders. 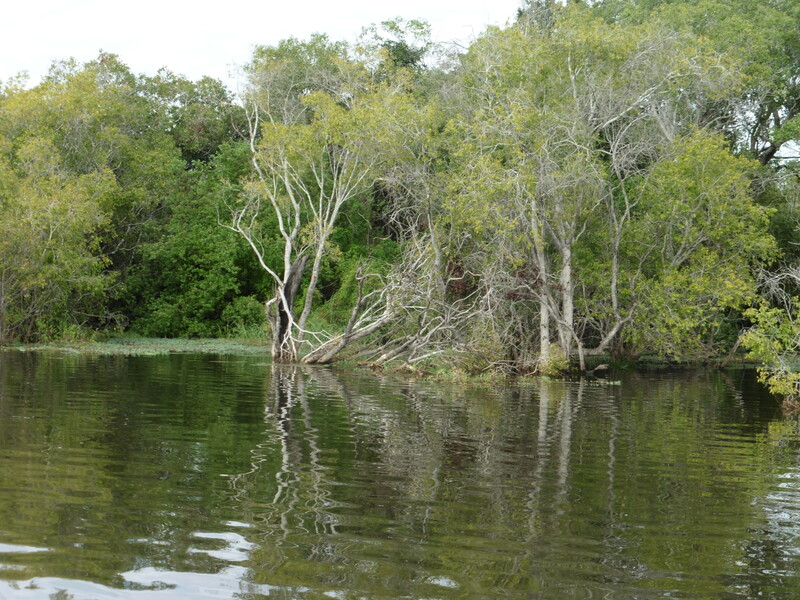 When we stopped for tea and cookies in the bush, Boyd went around the area clapping his hands to make sure there were no animal surprises in the grass before we got off the boat. 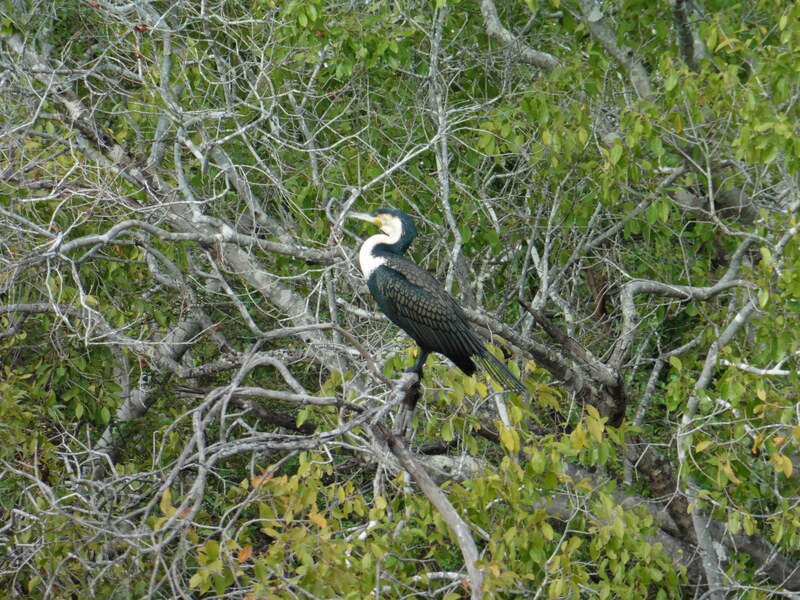 About ten minutes before we expected to return to camp for lunch, Phanuel appeared and waved us to shore. 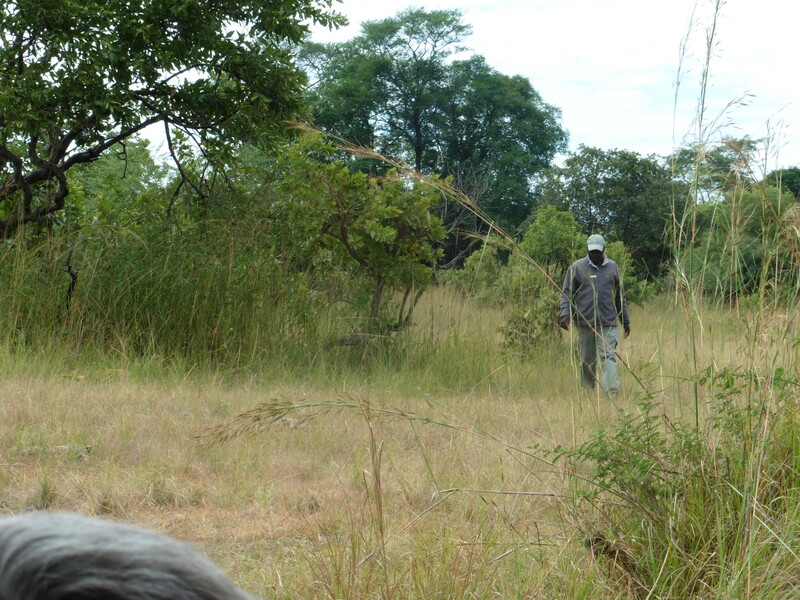 He told us we were going on a little hike and led us to lunch in the bush. 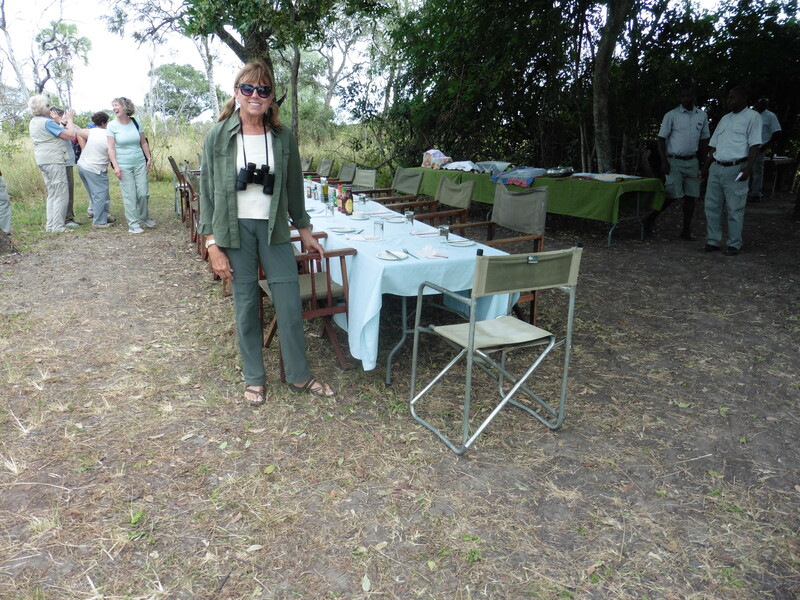 A beautiful table, bar, buffet and omelet station made me feel like a character in Out of Africa. Most days we are busy from dawn to dinner, but yesterday and today we had a little afternoon break. It was magical to sit on our tent front porch and feel surrounded by the sounds of life on the river. Before our afternoon boat ride, Lydia gave a cultural presentation about Zambian life in the villages. 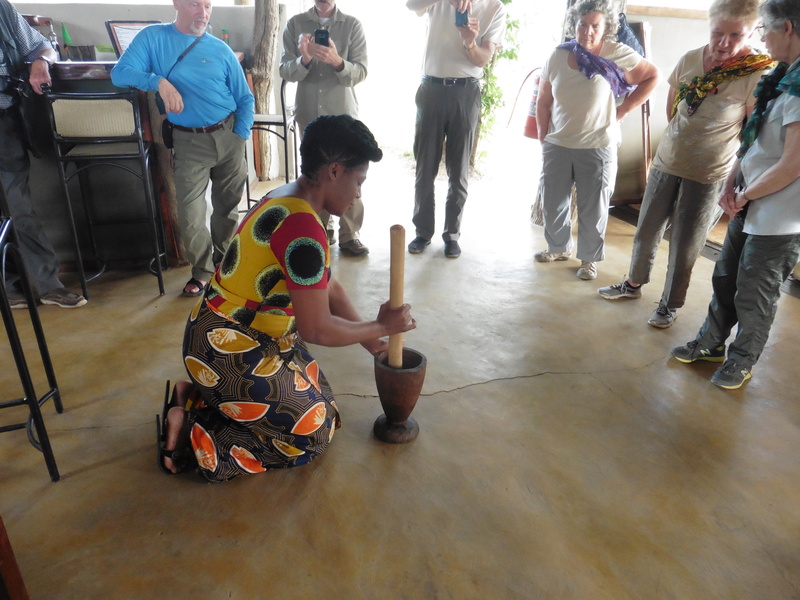 She showed us how the villagers use a big mortar and pestle to make peanut butter, an important protein source. She also taught us how to wrap our chitenge into skirts and baby carriers. 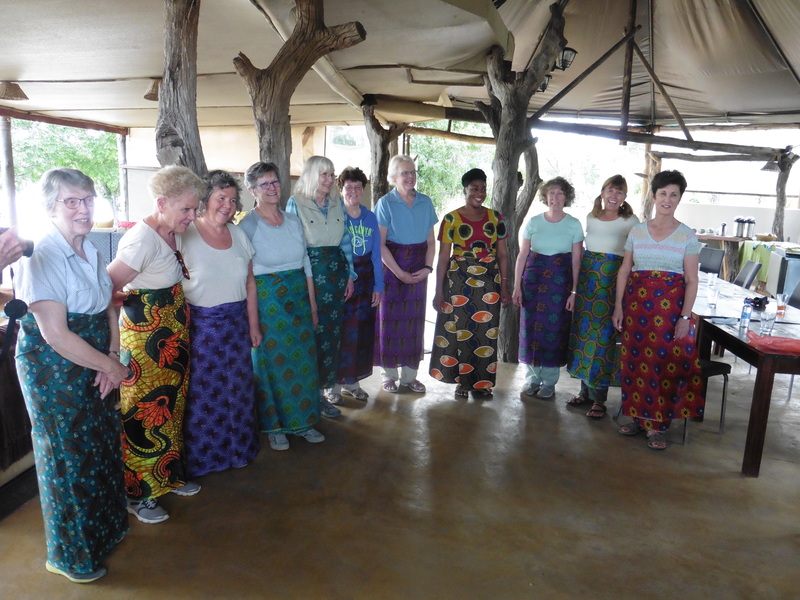 After a sunset boat safari, dinner and a beautiful farewell song from our Zambian staff, we returned to our tents for our last night in Zambia. This entry was posted in Africa 2018 on April 30, 2018 by debbie.